His Excellency Prof. Abdullah bin Omar Bafail, the President of Umm Al-Qura University, stressed that the university seeks excellence in knowledge and management to achieve self-sufficiency in financial resources through investment in its facilities. 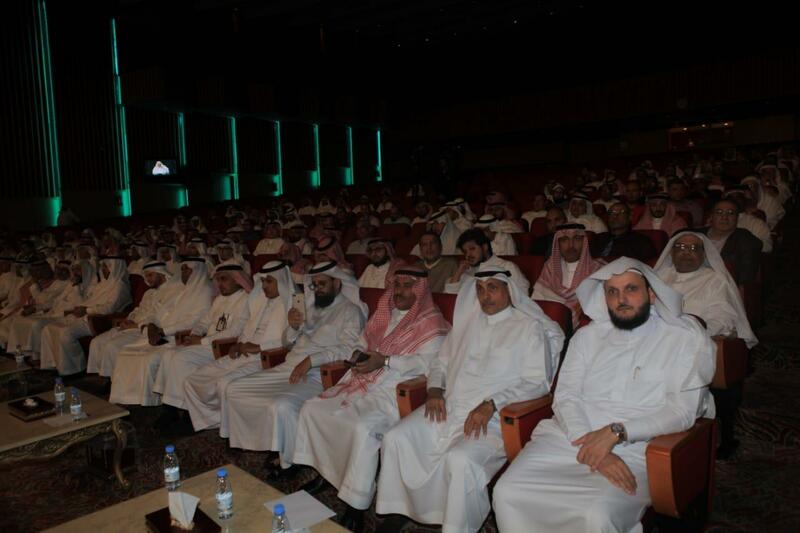 His Excellency mentioned this during his first open meeting with the academic staff and employees that was organized by the Deanship of Faculty Members and Employee Affairs, on Tuesday, 16 Jumada Al-Awwal, 1440 A.H., in King Abdul Aziz Historical Hall in Al-Abdiyyah. 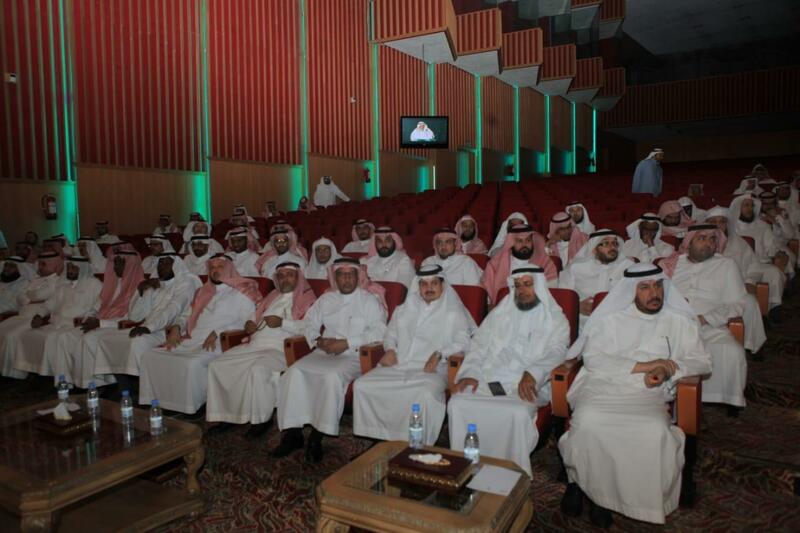 The meeting was held in the presence of the university vice presidents and deans of the colleges. During the meeting, His Excellency pointed out that the university will enable employees to access continuing education, continuous development and training, based on their actual needs. This will ensure that the university will create a generation of leaders during its leadership transformation in line with the vision of the Kingdom 2030. 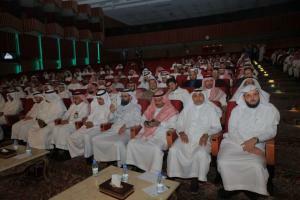 In addition, the university is keen to support the academic staff through the publication of their research in the most influential scientific journals, and to enable students to obtain the best educational environment that stimulates "knowledge, skills, behavior, and creativity", according to the requirements of the Saudi labor market. 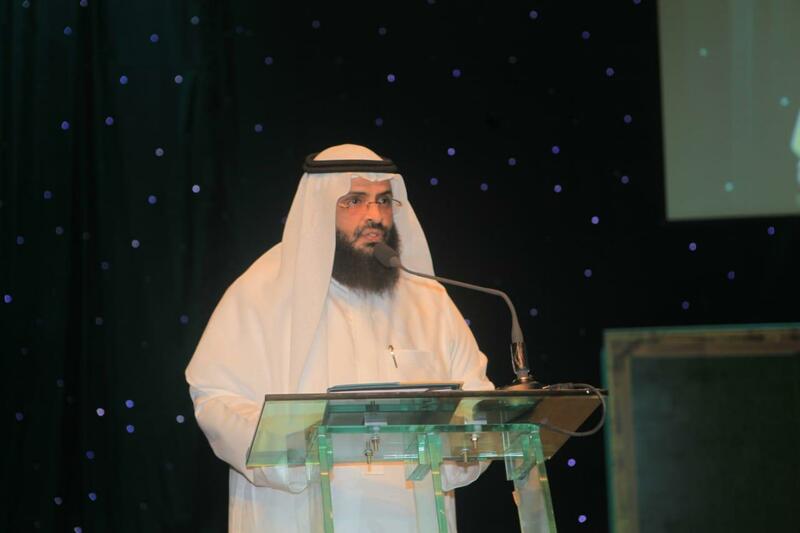 His Excellency the President of Umm Al-Qura University clarified that the university's vision and mission was defined more than ten years ago. 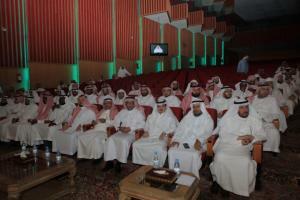 It prepared its first strategic plan with the participation of a large number of its members. The long-term goals and future plans were identified in several areas to achieve academic advancement, overall quality, scientific research, increase of beneficiaries, optimal investment of resources, and partnership with local and global institutions. 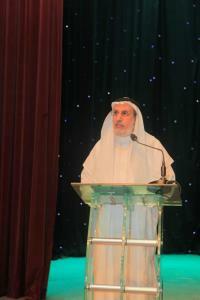 His Excellency said, "The most important objective of the meeting is to partake in discussions that contribute to the advancement of our universities, while trying to look at the data in our hands to benefit from them and achieve the aspirations of the wise leadership (may Allah support it) to support scientific research, innovation and a knowledge-based economy." 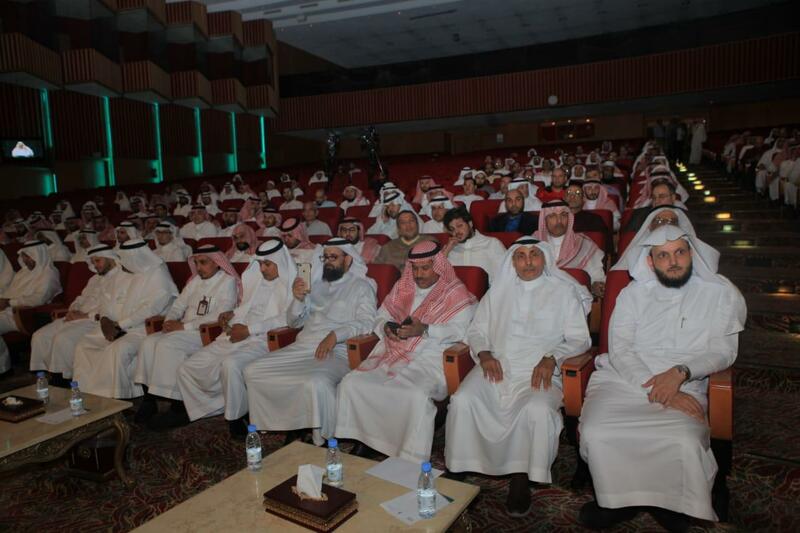 He stressed that the way of change and continuous improvement requires the development of a clear plan, through the identification of a specialized team to build and develop the five-year strategic plan by holding multiple workshops and meetings with the leaders, staff, and students of the university. Continuing his talk, His Excellency the UQU President pointed out that the approach adopted by the strategic plan team depends on successful planning practices, the use of various tools and techniques in analysis, verification of the validity of inputs, and then the formulation of multiple outcomes, thereby covering all the necessary issues. According to the UQU President, through the careful monitoring of the performance indicators and the transparency of the strategic plan, the university seeks to be among the top 200 universities in the world by building its distinctive identity. The university also seeks to be the main reference to the legal, Arab and educational disciplines, in line with its location next to the Sacred House, in addition to its achievements in leadership and excellence in the various other disciplines because of its academic and administrative excellence and its contribution to the service of Hajj, Umrah, and visits to the holy sites. 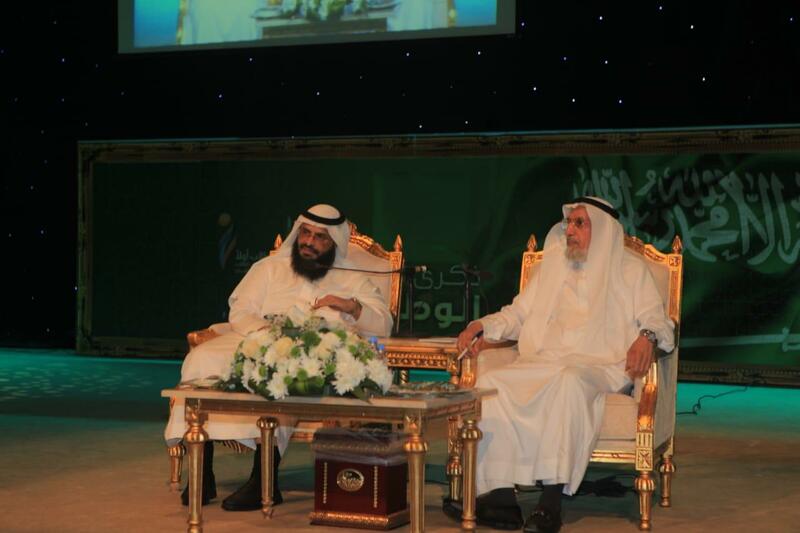 His Excellency referred to the university's interaction with initiatives, especially those serving Hajj and Umrah, pointing out that there were a total of 13 initiatives. One off the most prominent points that were raised by His Excellency during the first meeting is his confirmation that the deans of the colleges should not deal with notes and summaries, and should rather rely on the academic curricula. They should also be committed to office hours, to help students understand their lectures. He pointed out that a committee was set up by the Ministry of Education to address the obstacles to the project of the university hospital. He also confirmed the launch of the program of the University Vice-Presidency for Graduate Studies and Scientific Research to receive requests for the payment of an "excellence allowance" to academic staff members.